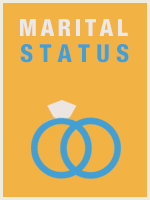 In Marital Status, the goal is to identify which acts constitute consideration of marriage, as well as the benefits and consequences of obtaining married status. For the most part, the ability to file married-joint creates the most beneficial situation for taxpayers. In certain circumstances, like adoption of a spouse's child, marital status can create adverse effects. In addition, this course identifies instances which qualify for deduction of expenses in the process of a move and in relation to the sale of a primary residence. Understand tax payments (e.g., withholding, estimated payments). Understand due dates, including extensions. Taxability of wages, salaries, tips, and other earnings (e.g., W-2 Wage and Tax Statement, cash). Sale of a principal residence (e.g., IRC 121 exclusions, 1099S Proceeds From Real Estate Transactions). Eligible Moving expenses - (e.g., Form 3903 Moving Expenses). Penalties to be assessed by the IRS against a preparer for negligent or intentional disregard of rules and regulations, and for a willful understatement of liability (e.g., IRC 6694(a), IRC 6694(b)). 6.8. Safeguarding taxpayer information - (e.g., Publication 4600 Safeguarding Taxpayer Information, Quick Reference Guide for Business, IRC 7216).